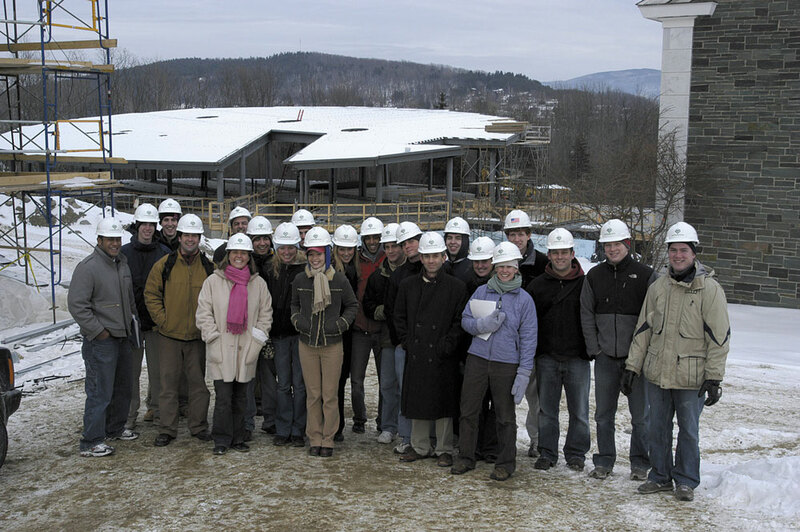 Members of “The Collegiate Way of Living: Middlebury’s Commons in Historical Context” (Middlebury College INTD 1012) touring the Atwater Commons construction site, January 2004. The course syllabus is available on RJO’s teaching page. (A larger version of this photo is also available.) For more information about “the collegiate way of living” pay a visit to The Collegiate Way: Residential Colleges and Higher Education Reform (collegiateway.org).